Friday, Februar 27 at 6:00pm. Registration is required by February 22nd! 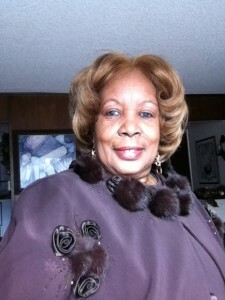 Mary Elmore Woods, LegalShield, Independent Associate, retired from the Marketing Department of AT&T several years ago after 26 yrs. President/Owner of Marees Favorite Things LLC since 2011. My LegalShield journey started in June of 2009. My mission is to inform everyone about the Identity Theft Protection and Legal Service Plans of LegalShield. Worry Less, Live More when you are protected. Tickets are $ 28. Included is a family style dinner. Please bring a check issued to GPWA, Inc. (preferred) or bring cash. On March 1, 2003, the Immigration and Naturalization Services (INS) was abolished and transformed into three separate entities, one of which is the Bureau of Citizenship and Immigration Services (BCIS). The former INS is now part of the new Department of Homeland Security and can be found online at www.immigration.gov. • Official forms and documents issued by the former INS will still be valid and will continue to be accepted by the BCIS and other agencies as evidence of status in the United States.